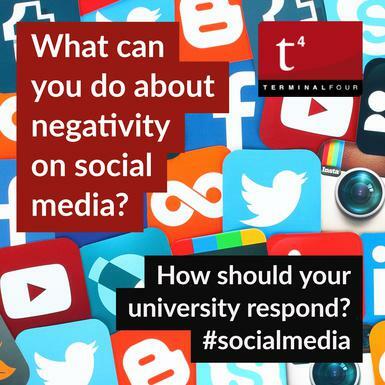 What can you do about negativity on social media? If you have ever read, William Golding's Lord of the Flies, you will know that every successful society must have rules for it to thrive. Without rules, a society will descend into chaos. Social media, in itself, is a society. It has its own culture, norms and expectations. And, within this online society, there exist communities which in turn all have their own rules and expectations. In order to keep the peace, we must have a structure in place that allows us to deal with abuse, negativity, inappropriateness and complaints. It's not enough to have a customer service or public relations strategy in place, social media requires its own high-level strategy specifically put in place to deal with negativity on social media. First all, take a deep breath and remember that you will experience negative (and yes, often unfair) social media engagement. It's unavoidable but it doesn't have to mean the end of the world. However, leaving one negative comment unaddressed, or responding in a defensive or hostile manner, can have lasting damaging effects on your brand's reputation and counteract the hard work you have put into building your social media platform. Remember, you're not just dealing with this one person. You're dealing with every potential visitor that searches for your institution or lands on your page. A recent study carried out by Lithium Technologies, showed that 60% of respondents considered not getting a response on social channels to be a bad experience. It's simple, if a student or prospective student reaches out to you on Twitter with a complaint, don't reply to them telling them to contact your admissions office. Assure them that you will take charge and resolve this matter for them. If you need to have another department call them back, advise them of that via Twitter. Ask them to send you their details by private message. Complaining by email and complaining via social media are two very different things. With social media, users expect prompt (and often instantaneous) replies. We know it's not always possible to reply straight away but make sure you clearly state your customer service/ office opening hours on your website and endeavour to reply promptly during this time. There is nothing as infuriating for a customer as leaving a complaint only to be met with an automated (and unhelpful) response. We know, you get a negative comment, your first reaction is to take it offline. Maybe give them a call and smooth things over. However, it's always better to let others see that you have responded and solved this person's issue. We know it's tempting but don't delete complaints or negative comments. It will only aggravate the commenter. How many times have we seen people leave messages such as; “Why did you delete my comment?”. Deleting things on the internet is an illusion anyway, and will bring into question the integrity of your brand, to all your followers. In your strategy, set out the reasons why you would block users who abuse the site, and remove inappropriate comments. As part of your strategy, decide on a tone that fits in with your institution's brand. Don't allow yourself to be detracted from this. A tone that is pleasant and positive will create an atmosphere where aggressive negativity or attacks will seem out of place. Keep an eye on your reputation. As part of your strategy, make a list of all the places your users spend time online. 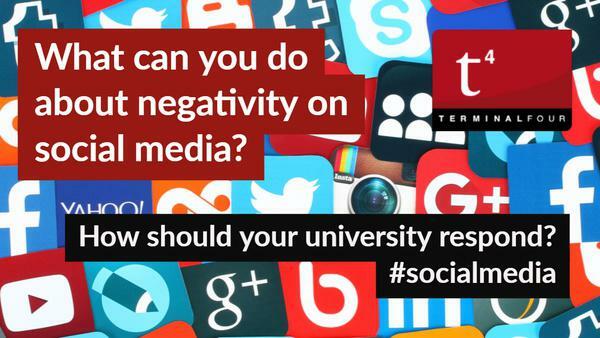 Consider online forums, groups, hashtags and college websites. Keep an eye out for instances where your brand is being mentioned in a negative way and don't be afraid to respond!